Opiates (morphine, codeine) are naturally occurring drugs taken directly from the opium plant. They are prescribed to treat pain conditions, but they are also addictive. Opiate withdrawal symptoms can range from mild to severe. How long a person has been dependent on opiates. The type of opiate the person is dependent on. The frequency and severity of opiate abuse. Aspiration, or accidentally inhaling stomach contents into the lungs, which can lead to lung infection and asphyxiation. Severe dehydration caused by lack of fluid replacement after sweating, vomiting, and diarrhea. Suicidal thoughts, which some people experience in association with severe withdrawal symptoms. If a person is dependent on an opiate and abruptly stops using it, they will experience withdrawal symptoms within a few hours. These symptoms will usually peak within 48-72 hours and subside within a period of 10 days, though some users may continue to experience symptoms for weeks or months.5,6 The onset, duration, and intensity of withdrawal symptoms will be different for each person. 8-12 hours. Anxiety, agitation, watery eyes, runny nose, and increased sweating. 12-24 hours. Nausea, stomach cramps, vomiting, diarrhea, goose bumps, and dilated pupuils. 36-72 hours. Symptoms peak and then gradually subside over the next few days. Who Answers? to get more information about types of rehab and recovery programs. Withdrawal from opiates is a result of neuroadaptation, a process in which the body adjusts to the presence of opiates, leading to tolerance and dependence. Treatment for opiate dependence typically begins with detoxification from the drug followed by either inpatient treatment or some form of structured outpatient treatment (partial hospitalization or intensive outpatient programs). A medically supervised treatment facility can provide a stable, comfortable environment in which to detox, while providing support and medications to help reduce the likelihood of complications. Detoxing at a medically supervised facility can also greatly minimize the severity of the symptoms and make the withdrawal process easier to tolerate. Inpatient – Inpatient opiate facilities also provide around-the-clock care. But the main focus is on recovering from an addiction to or dependence on opiates. These facilities provide individual, family, group, nutritional, and recreational therapy and will work with you to create an aftercare plan. Partial hospitalization program (PHP) – PHPs provide group therapy and medication management of psychiatric symptoms. At times, these programs will also include brief individual sessions and weekly family sessions. It is important to find a substance-specific PHP as many of these programs are for mental health. Intensive outpatient program (IOP) – IOPs provide group and individual therapy. You must visit a psychiatrist outside the program for medication management. The services are similar to those at a PHP. Opiate relapse is common, and maintaining some form of long-term treatment or aftercare is important.1,3 These options include psychiatric care, individual therapy, group therapy, and 12-step groups, among others. 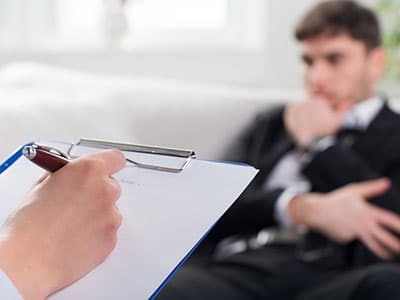 Psychiatric care – Finding a psychiatrist who listens to you and treats your psychological symptoms can help you maintain recovery. Depression, anxiety, and sleep problems are common for those recovering from opiate dependence. A psychiatrist can prescribe medications for these conditions. If you were prescribed opiates for pain relief, you may also want to see a primary care provider to find other ways to treat pain. Individual therapy – An individual therapist can help you work through the issues that may have driven your opiate dependence. They can also help you discover healthier ways to cope with stress and help you learn to live without opiates. Group therapy – Group therapy can offer ongoing support during recovery. You meet with other people who are recovering from substance abuse, while a therapist leads a group on different recovery topics, including relapse prevention and addiction education. 12-step and non-12-step support programs – Some options that are helpful to those with opiate dependence and addiction include SMART Recovery and Narcotics Anonymous.3 Support groups provide education, feedback, and a mentor or sponsor to help you complete recovery steps. Sober living homes – Also known as halfway houses, these programs offer temporary housing for people recovering from opiate abuse. Residents attend 12-step meetings or therapy sessions, look for work or housing, and receive support as they transition back into their communities. Buprenorphine can decrease the length of time it takes to detox from opiates and help a person maintain long-term abstinence from opiates. A person who is prescribed buprenorphine may eventually be tapered off the medication. Methadone can help relieve or lessen withdrawal symptomsand can also be used as a long-term maintenance therapy for opiate-dependent individuals. Methadone must be dispensed on-site at approved clinics and may eventually be tapered and quit completely under supervision. Naltrexone blocks the effects of opiates and may be used to induce withdrawal. It may also be used to prevent future dependence and misuse. Clonidine can help relieve the flu-like symptoms associated with withdrawal as well as the anxiety and agitation some experience. Other medications may be used for symptoms such as stomach cramps, diarrhea, insomnia, anxiety, and depression. The medications described above will be used at the discretion of the attending physician. Asking which types of medications a facility uses for opiate detox will give you a clearer idea of the treatment course the center prefers. If you or a loved one is dealing with dependence or addiction to opiates, contact one of our treatment support representatives at 1-888-319-2606 Who Answers? to find the best treatment option for you.
. Harvard Medical School. (2009). Treating opiate addiction, part I: Detoxification and maintenance.
. Eddy, N. B., Halbach, H., Isbell, H., & Seevers, M. H. (1965). Drug dependence: its significance and characteristics. Bulletin of the World Health Organization, 32(5), 721-733.
. U.S. National Library of Medicine. (2013). Medline Plus, Opiate Withdrawal.
. Wesson, D. R., & Ling, W. (2003). The clinical opiate withdrawal scale (COWS). Journal of psychoactive drugs, 35(2), 253-259.
. Farrell, M. (1994). Opiate withdrawal. Addiction 89(1):1471-1475.
. Substance Abuse and Mental Health Services. (2010). Protracted Withdrawal.